The Poker Room at Thunder Valley Casino Resort | Lincoln, CA: What is @WPT California Swing? 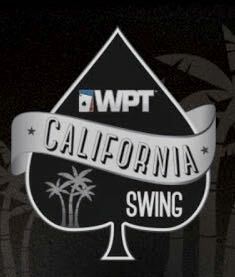 What is @WPT California Swing? LAPC, Bay101 and Thunder Valley, 3 @WPT Main Events that combine to create the WPT California Swing. We kicked things off here the first week in January with a series of tournaments and a Main Event 20-seat-guarantee multi-table satellite. LAPC took over for an extended run at the Commerce, and the Bay 101 Main Event is going on right now. I could give you all the details, but even better ... the WPT Live Updates folks give a full explanation here, in the midst of their Day 3 Coverage at the Bay 101 Shooting Star.